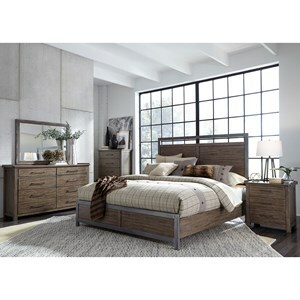 The Round Rock King Bedroom Group by Avalon Furniture at Van Hill Furniture in the Grand Rapids, Holland, Zeeland area. Product availability may vary. Contact us for the most current availability on this product. 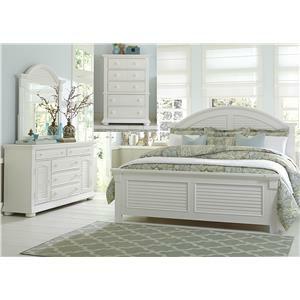 Update your bedroom with this contemporary collection. The slight rustic twist seen in each piece dulls their sharp modern look and adds a much appreciated homey atmosphere to the collection. The Round Rock collection is a great option if you are looking for Rustic Contemporary furniture in the Grand Rapids, Holland, Zeeland area. Browse other items in the Round Rock collection from Van Hill Furniture in the Grand Rapids, Holland, Zeeland area.